delicious taste: almost all our customers say: yummie! So delicious! Your sweets are really different! You are looking for new products for distribution or for your company? We are specialised on Private Label - get our high quality vegan products with your brand name, your picture, etc. We are happy to create a new version of our product for you! Just contact us and get more information! We are happy to serve you! The 50g chocolate bar with 60% cocoa minimum is made only of pure and high-quality ingredients: coconut blossom sugar, cocoa powder and cocoa butter. We don’t use additives, aromas or animal components, no beet sugar and cane sugar. The chocolate is lactose- and gluten free. The result of gentle milling and conching is a silky finish without using lecithin or any other emulsifiers. The salmon flavor is well balanced between an aromatic dark chocolate and the sweetness of a milk chocolate. The lovely designed packaging with imprint on the cover conveys the high quality of the Choco Shaman. 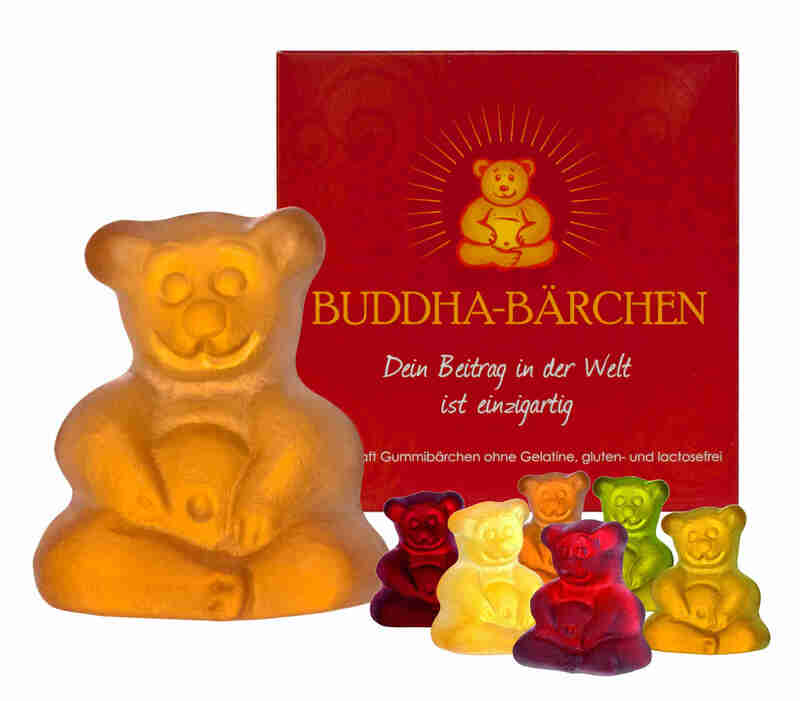 Buddha Bears are delicious vegan organic gummy bears with many details in their form: they have eyes, a happy smile, cute little legs and arms and they have even eyebrows and a bellybutton! People love their apprearance often saying: "Oh my God, how cute! Look at that!" Then they try them... "Yummie! Really delicious! So fruity! And they are really vegan?" Yes, they are! Instead of gelatine we use apple pectine. 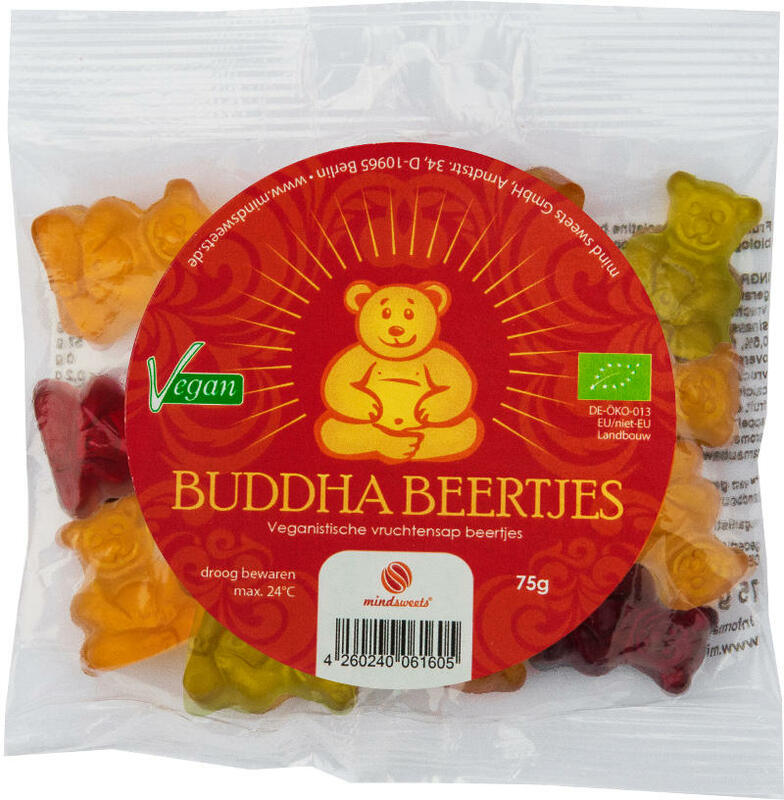 There is Buddha Bears in 6 different flavors: apple, orange, lemon, raspberry, pineapple, blackcurrant. There is different types of packaging: in a representative cardboard box, with a carboard folder attached to the packaging, with a sticker etc. There is also different sizes available: 18g, 50g, 75g, 500g etc. 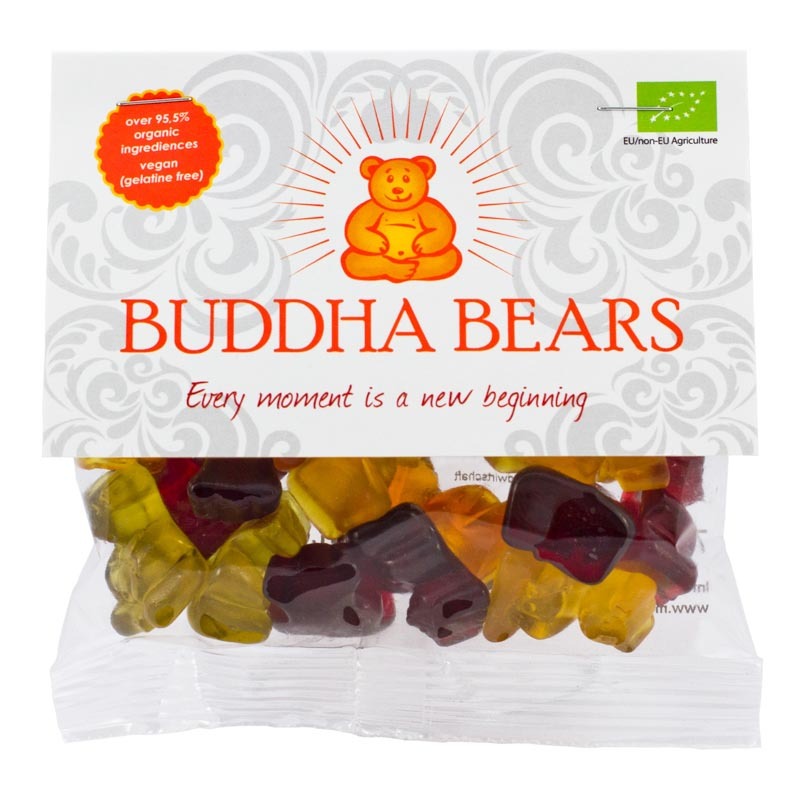 You want to distribute delicious vegan organic gummy bears? Or are you looking for an appealing sweet Give Away? Then just contact us and get more information about Private Label and Export with us!